Inspired by notorious Balkan jewel thieves the Pink Panthers, this new glossy crime series starts with an impressive diamond heist. It then takes the audience on a journey into a dark underworld of European criminal gangsters. 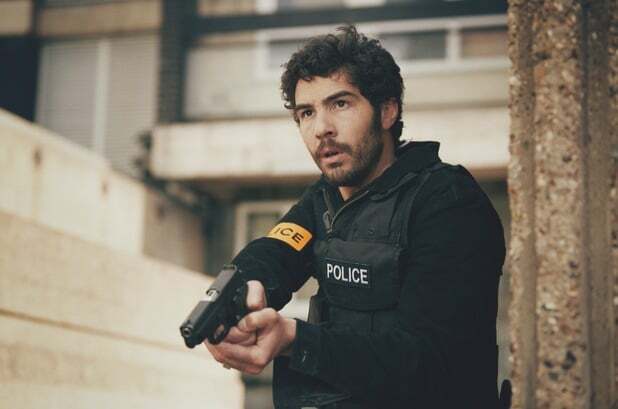 Last Panthers features a stellar cast including screen legend and Oscar winner John Hurt, Oscar Nominee Samantha Morton, and France’s double Cesar award winner Tahar Rahim. The six-part thriller follows all three in hot pursuit of the criminal gang across Europe and London with scenes filmed all over the capital. Some key scenes were filmed in the Royal College of Physicians on Albany St, and in Freemason’s Hall on Great Queen St in Camden. Photos for their publicity campaign were shot at the Wyndham Estate in Southwark and a donation was made to the Wyndham Estate Residents Association. Last Panthers premiers in the UK On Sky Atlantic tonight at 9pm.